Take on several classic NES games in a series of quickfire challenges. The faster you complete each challenge, the more Stars you receive. 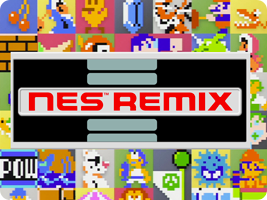 You can also take on special remix challenges, where special effects and character crossovers provide new challenges for these classic titles.